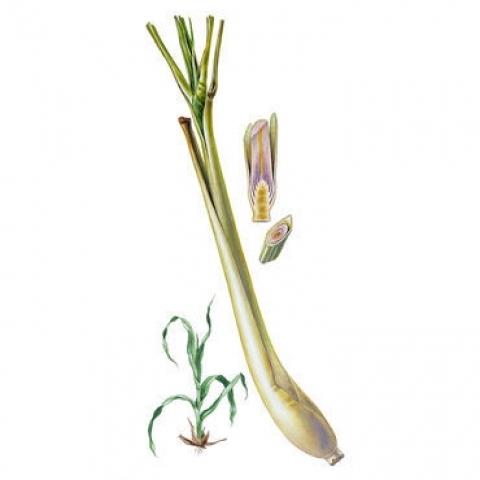 Lemongrass, belongs to the genus Cymbopogon of aromatic grasses, has an essential oil with a lemony scent. It is a native of Southeast Asia but is now found growing naturally in many tropical grasslands and is also extensively cultivated. 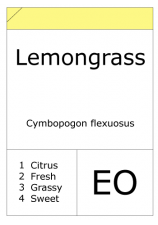 Lemongrass oil obtained by steam distillation of the leaves was formerly a main source of natural citral. 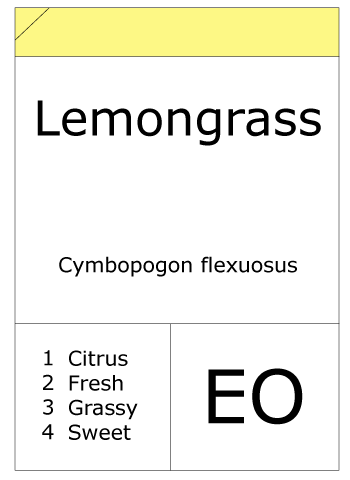 The main constituents in Lemongrass are geranial (34 %), neral (26 %) and myrcene (25 %), neomenthol (3 %), linalyl acetate (2 %) and (Z)-beta-ocimene (1 %).